We have reached the last month of Project 52, a year-long* study of light in its many forms that I have been pursuing with a group of amazing photographers from around the country. For August, rather than take on a new form of light, we are setting the terms a bit more loosely and using the technical skills we’ve built up in the past year to try some new creative directions. Summer is a great time to do something a little different, whether it’s using the rules to capture a creative vision, or breaking the rules altogether. Normally when photographing kids in motion, I use a high shutter speed to stop the action and keep my subject in focus. 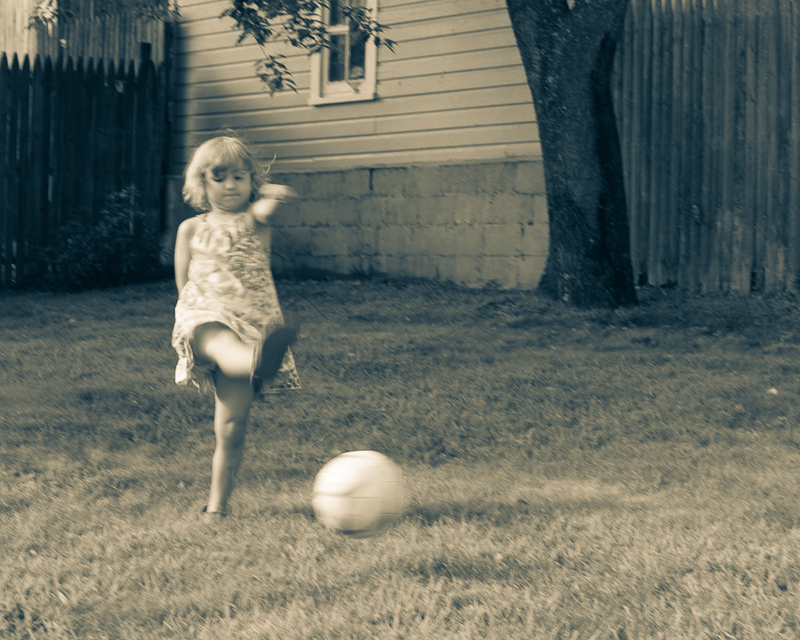 But here I slowed down my shutter to get a sense of my soccer star moving through space. Next up in the Project 52 circle is my friend Kim DuPree, a talented senior photographer from Texas. Please continue to her website here. *full disclosure: nine months long for me. I’m a slow starter. I love that we can still see the bit of determination on her face. Looks like she was really working to make the ball go far.